Here’s a new wine fest. 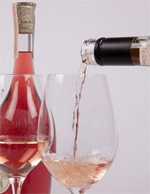 The first-ever Drink Pink Vino International Rosé Wine Festival will be held June 11, 2015, at the Outdoor Pavilion of the Omni Interlocken Resort, 500 Interlocken Boulevard, Broomfield, Colorado. How about heading to a wine festival for Memorial Day weekend?